Some info on the volcano in USA that’s coming? Five Hundred plus earthquakes near Hawthorne, Nev. over the past week have scientists looking closer at the ground. They are looking at seismic and volcanic activity in Nevada. What is the possibility of “the big one” hitting Nevada? Or a volcano popping-up in Nevada? Kent is talking about the Aurora Volcanic Field located just miles from the area where hundreds of quakes began rumbling a week ago. The center of those quakes, just eight miles from Hawthorne, Nev.
Kent says there has not been any significant volcanic activity there for 250,000 years. And there is not much risk of a catastrophic volcanic event. The Division of Emergency Management in Carson City is in place for quick action should it be needed. “Both folks at state and federal level are concerned,” says Kent. All of this could be leading to a big quake in other parts of the state. If Mammoth “Lakes” decides to blow, where does the ash fall? OK, so I’ve been watching the “California and nearby” map for a few years now. It usually runs in the 100-200 quake count. (It is a 2 week sliding window, so as new quakes are added, others are ‘aging out’). In the last couple of months, the count has steadily risen. First through 300, then 400. About a week back I commented that it was over 500, and just a day or so ago I noticed it pass through 600. Right now, it’s at 701 total quakes. I note that the “quake count” on the California map is now at 646. 3 days ago it was 572. A few months back it was in the 100-200 range. Things are difinitely on an upswing. So when will this stop rising? Don’t know. But here is a “live map” so we can see when it happens. Original Image, with captions and description. The original is interactive with clickable regions for ‘close ups’. Notice that those small quakes are inland from the plate boundaries and the major spreading and subduction faults. They are where the volcanos sprout after the subducting plate melts and makes rising magma. South America with “clickable” areas for more details. http://pangea.stanford.edu/~dsinnett/Pages/Links.html has a nice collection of links to volcano monitor pages. Just click the pictures for the different volcano observatories. This entry was posted in Earth Sciences and tagged earthquakes, quakes, volcanoes. Bookmark the permalink. 43 Responses to Are the Volcanos Waking? I thought the blast came from Bezymianny? A search of the S.I. site, of the wiki on Bezymianny, and of the John Seach web site does not show large activity at that volcano. 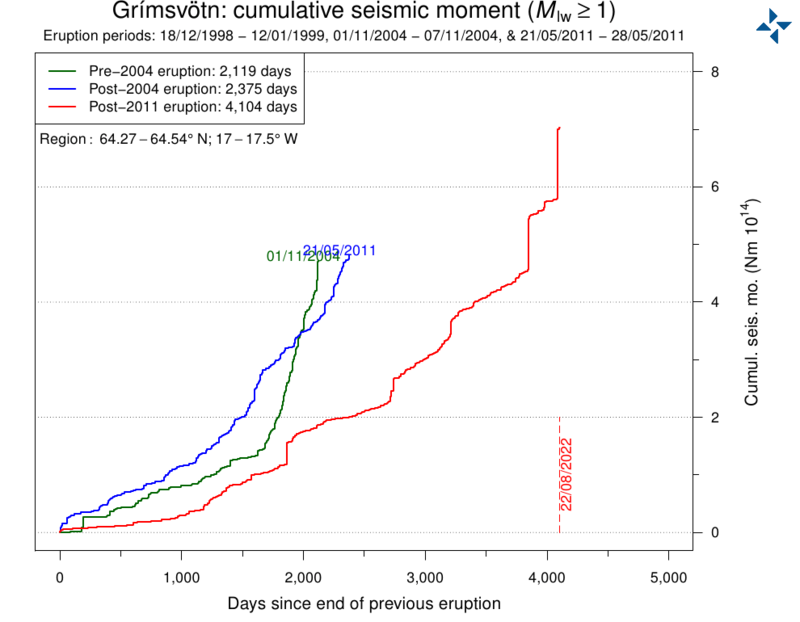 KVERT reported that during 1-11 April seismicity from Bezymianny increased. Gas-and-steam activity was observed during 1-2 April; clouds obscured views on the other days. A thermal anomaly over the volcano observed in satellite imagery was weak during 1-3 and 6 April, then increased in size and became more intense. The Aviation Color Code was raised to Orange. Geologic Summary. Prior to its noted 1955-56 eruption, Bezymianny volcano had been considered extinct. Three periods of intensified activity have occurred during the past 3,000 years. The latest period, which was preceded by a 1,000-year quiescence, began with the dramatic 1955-56 eruption. That eruption, similar to the 1980 event at Mount St. Helens, produced a large horseshoe-shaped crater that was formed by collapse of the summit and an associated lateral blast. Subsequent episodic but ongoing lava-dome growth, accompanied by intermittent explosive activity and pyroclastic flows, has largely filled the 1956 crater. I guess it was RED so something must have happened there too? Previous swarm in 2004 looks pretty similar, is there a large plume of lava moving under the area? Something to look forward to lol? Water levels noted in July 2003 were at least 10 meters below the surface. One of the largest and most accessible geyser fields in the world is gone forever. Neat Graph! I’d wanted such a graph… is there a “who made it from what data” somewhere? A SILENCE. A stillness of the air. Deep in the Earth, the winds are bottled up in a cave. Everything is quiet, in fact everything is far too quiet. People get uncomfortable but they don’t know why. “Earthquake weather,” they say. And cross themselves, touch wood. Deep down in the Earth, way down where you can’t see it, where you don’t know where the dark things are, the pressures are building. The heat is building, the plates are shifting, grinding in opposite directions. America is moving toward Asia. Slow. It’s slow but it’s big. The rubber band has been stretched and stretched and all at once with no warning it snaps back and by God, it hurts. We’re on the Ring of Fire, you know. No warning. Houses fall, people killed, fires burning. The only solid foundation has proved unreliable, and you can never really trust anything again. The Earth herself has shrugged and all her little inhabitants are made aware once again of what they may have forgotten: Mother Nature bats last. Herodotus (born c. 490 BC) recounts that a stillness both precedes and creates earthquakes because the winds are bottled up in a cave. While it isn’t a hot oppressive stillness, more of a cool opressive stillness, it still “has that feel” to it. The area around Hawthorne has seen quakes before. I have found reports going back to the late 1800’s of apparent quake swarms in that area and they seem to happen at roughly 25 year intervals (+/- 10 years) but that interval probably means nothing. CO2 content of springs in the area. This does not appear to be related to the Long Valley magma chamber but to a different one that has been responsible for small eruptions between Mono Lake and Hawthorne since the late Pleistocene. You will see what appears to be an arc forming between the main location of the quakes and the Northeast shore of Mono Lake. The area around Mono Lake has been active in the last 1000 years with an eruption in the center of the lake within the past 200 years. It might well be that the magma chamber that feeds these eruptions is actually in Nevada and that the magma finds a path to the West and erupts around Mono. We just don’t know because we had no instruments available and were not monitoring the area the last time there was an eruption around Mono Lake. The main cluster of activity still seems to be Southwest of Hawthorne. One thing to keep in mind is that as hot rock rises and the pressure reduces you can get decompression melting. In other words, the more it moves, the more it melts and is able to more easily move. If this is volcanic in nature, I would expect to see a change in the CO2 content of ground water and some change in ground deformation. But this area is probably not measured and being very arid, there may not be a lot of ground water to measure. I am not seeing any surface evidence of any creeks in the area. There does appear to be one creek Northwest of Aurora Crater but might be too far from the activity to be of any use. Assuming you’re speaking of the Johnston graph. This link may help. Looks like he did it himself from annual data at USGS. Updates for the ‘earthquake-geomagnetic’ back on line (after short brake away). What I hate is if you post these questions to the USGS they’ll just say oh it’s just a swarm, it doesn’t mean anything. That’s why we still don’t understand these events properly, because nobody is trying to work out what they are. Remember Iceland, there was a massive swarm under the volcano, and I was thinking it’s going to erupt for sure, but the geologists kept playing it down saying no it’s not going to erupt it’s just a swarm. It might be true whats said above, the mono lake magma chamber maybe is so large or long it extends under Nevada? Maybe in 1-2 years it might erupt, or maybe sooner? The 1943 Mexico volcano had earthquakes before it erupts. Just because it doesn’t happen often doesn’t mean that you must totally disregard that it’s a possibility. They are all very well to keep saying that warming is caused by CO2 when there is no real evidence, but if there is an massive earthquake swarm ohhhhh noooooo it can’t be a new volcano. http://pubs.usgs.gov/fs/fs172-96/ these things are active system, and because we’ve never had sensors there before, maybe we need to learn something? Pyrate Steele So, if it’s movement within the Farallon tectonic plate, then why are volcanic sensors being placed today around the Aurora-Bodie/Hawthorne area to monitor any magma movement? [Source News4 – Las Vegas] While the plate may move and cause magma displacement, it could also be magma moving that is causing the plate to move, no? Pyrate Steele Aww shucks Mr. Jackson… ’tweren’t nuffin. Pyrate Steele ‎*Makes the sign of a cross with my fingers* Back volcano I say! BACK! It’s already hot enough here in the desert! Danny Jackson ‎@Ms. Steele, LMAO while rolling on the floor! But, they do seem a little close to Mammoth lakes and being that Mammoth Lakes was under a Volcano watch a couple years ago, sure makes me wonder???? U.S. Geological Survey (USGS) The Mammoth Lakes swarms have been associated with magma movement at considerable depth. Swarms can be caused by fault as well as magmatic movements. They typically (but not always) occur over a short time interval before tapering off. Try a USGS search for “earthquake swarms” at: http://search.usgs.gov/ -Greg D.
New Satellite to predict earthquakes? Looks like a lot to read, and I’m “tending sick” right now, so I’ll have to get back to it later. See the California map up top. Hanging over 700 and with red spots in Baja, Hawthorn Nv., and up near The Geysers as I type. It’s not just Baja having a swarm. IMHO, it’s the whole da…rnd state. Picked up a 6.1 less than 40 miles from Tokyo. Well, looks to me like things are “backing off”… I’ll have to check what phase of the moon we’re in. We’re below 700 in California / Nevada now ( 670 ) as the early flush of swarm ages out to the 2 week point and starts to leave the window, while no new mass is entering to replace them. On this closeup map, you can see that it’s on an undersea fault that isn’t really near much of anything other than a city named Nuka Alofa. The Wiki gives the size of the island as 100 sq. miles which leaves me wondering why they have so many cars in the only downtown of significance. We’re talking 10 miles on a side as a square or a bit over 5 miles diameter as a circle. Aside from the fact that a bycicle or pedal cab would get you darned near anywhere at about the same elapsed time as a car, that small size would make it ideal for a small railway and a perfect test case for an “Electric Car” economy. puts them at 184 km paved for the whole darned country. About 114 miles. Since some of that will be on other islands, and some of it ‘criscrossing’ streets in the downtowns and such; it looks to me like a great “living laboratory” for “green cars”. Before turning the whole world upside down replacing petrol driven cars and Diesel trucks globally, and finding out how long it takes to cross Texas “the long way” with an e-Car (hint: It’s 900 miles…) how about we pick a couple of tropical islands and convert them first? The globe is a big place. Lets have Nissan donate the cars, GE the added wind generators, etc. and have a “test case”. And all the rest of us would find out that there isn’t any 10,000 lb truck to haul freight using wind…. 6.9 in the Solomon Islands. Researchers are planning to study the Tonga Trench – a deep feature where the Pacific tectonic plate is being forced under the Indo-Australian plate. The island nation of Tonga is regularly hit by tremors – most recently a 6.4 magnitude quake offshore last month. The research expedition will last about one month. The focus of the study will be an unusual zone on the seabed where undersea volcanoes are being dragged into the fault. Scientists want a better understanding of how the submarine mountains affect the likelihood of earthquakes. The volcanoes lie on the 4,000km-long Louisville Ridge and either act as a brake on the Pacific plate – or intensify the quakes which follow. The area where they are pulled into the seabed suffers relatively fewer tremors than other stretches of the fault line. Last 3 small up-surges in earthquakes were coinciding with approach of new or full moon. Yesterday’s one is different in that respect since it is around quarter-phase. I love the approach you take with those graphs. Just wonderfully done. We’ve also picked up a 6.2 in Indonesia. I like how that data is expressed. Not a bad way to lay it out. I also like that the quakes are rounded to the nearest whole earthquake. I think this one is just an aftershock of the prior great quake? It’s about the right place and a great quake can have aftershocks for a very long time. Now NASA’s JPL says there is a link between earthquakes and the ionosphere. I am not sure they got cause –consequence relationship the right way around. On the subject: it appears there is a build-up of quakes volume during the last 2-3 weeks.